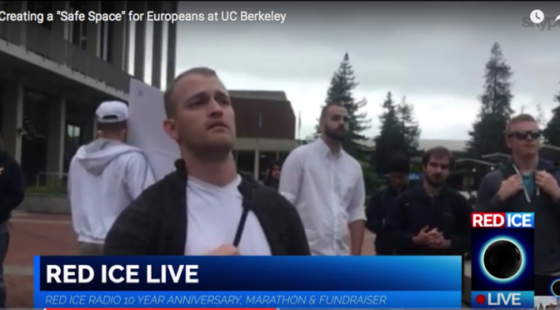 On May 3, 2016, Identity Europa, the recently formed pro-white advocacy group led by Nathan Damigo, released a statement revealing their plan to hold an event in Sproul Plaza on the campus of the University of California at Berkeley. This was followed by a social media campaign  and support from the National Policy Institute, led by Richard Spencer. The purpose was to create a “safe space” for a discussion of race and white interests. Leftists often attach revolutionary language to their actions, however ad hoc, misguided, or pointless. They cover their faces, smash police cars and store windows, scream obscenities at bystanders and then retreat to the marijuana smoke-stained walls of their various hovels. They then gloat about the “Battle of Oakland” or the “Battle of Seattle” as if they are the Baader-Meinhof Group reincarnate. But they understand better than the Right that they are building a mythology, creating (what they believe) is a parallel radical history that will inspire future action and, in the style of the Holocaust, create mountains out of molehills to be used in aeternum as political referents. As I have argued before , there is an extant language of radical politics that White Nationalists too often fail to use to advance our interests. 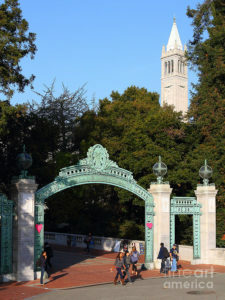 Mr. Damigo’s entrance into Sproul Plaza was, in my opinion, the highlight of the event. Unfortunately this moment was not captured on the Red Ice live-stream , but his intensity was immediately apparent. My first thought was that he looked like a fighter entering a cage match. As soon as he reached the center of the plaza, he began speaking loudly and fearlessly about white interests, moving to and fro like a boxer, with confidence bordering delightfully on aggression. Slowly, a crowd gathered around him while Mr. Spencer began interacting with reporters and well-wishers. I do not know if this entrance was calculated but it seemed so because it worked so well. While Mr. Damigo attracted attention and engaged hostile audience members, Mr. Spencer stayed on the fringes of the crowd controlling, in a sense, the narrative.